A daily, virtual tour of the master’s HQ. 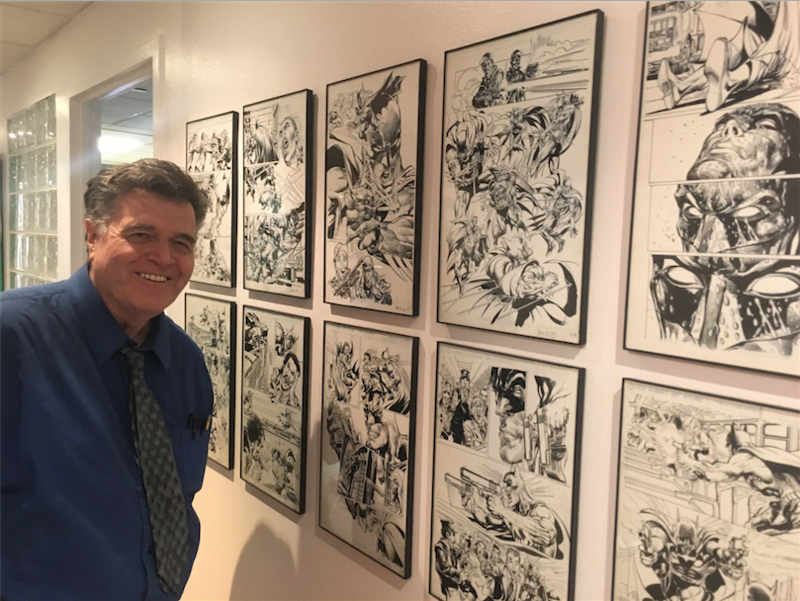 Back around New York Comic Con, I wrote a piece about Neal Adams’ new Midtown Manhattan gallery, housed at his Continuity art studio. It wasn’t quite finished, but Neal led me on a tour around the place (click here to check it out — you definitely want to), showing off a lot of the artwork on display and giving me an idea of what fans can expect if they make plans to go. Well, now the NEAL ADAMS GALLERY is complete. I went back for a second look and was even more impressed. 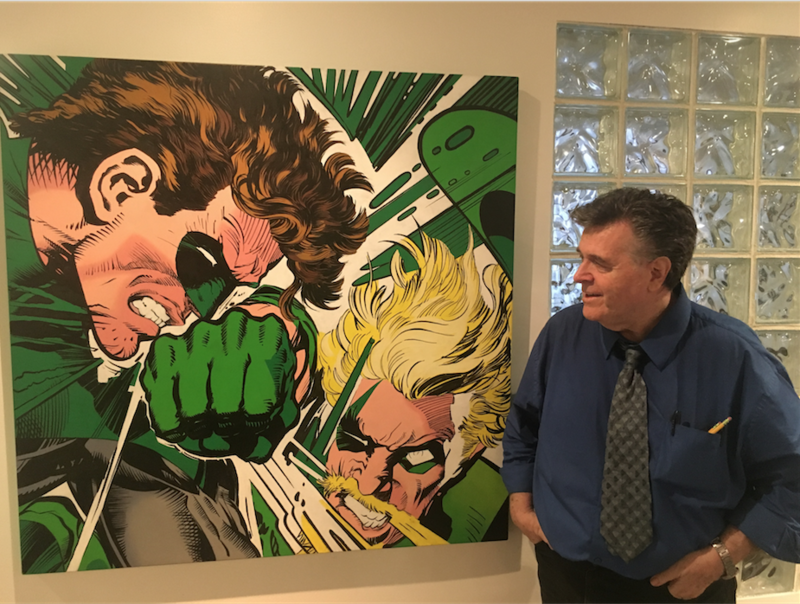 So much so, that I was inspired to launch 13 DAYS OF THE NEAL ADAMS GALLERY, starting Monday, 11/28. The gallery, located at 15 W. 39th Street, is open to the public free of charge but you have to call first before you come over (212-869-4170). 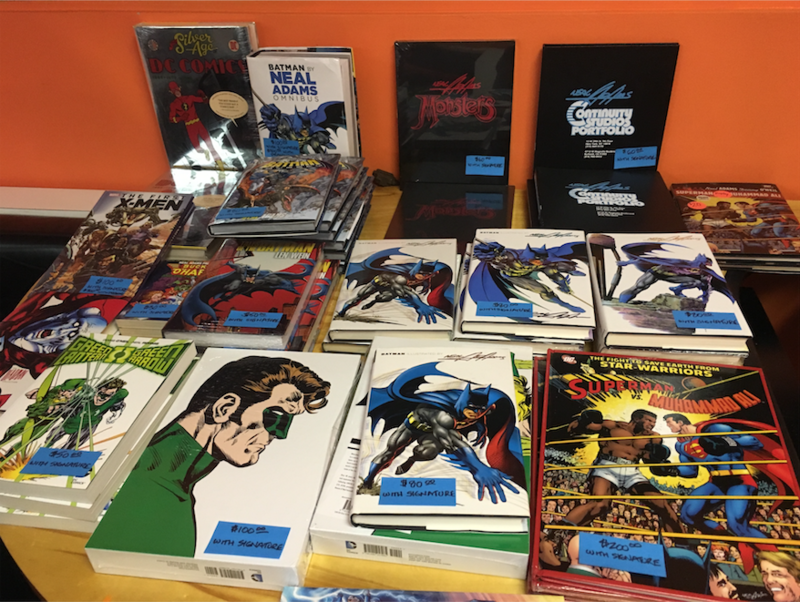 You’ll be led on a tour of the place and you can buy original artwork, CGC-graded comics, prints, books and even T-shirts. You can even get Neal’s autograph in person if he’s around. He charges his convention rate of $30 per signature if you bring your own materials. However, if you buy an item at the gallery, the signature is free. 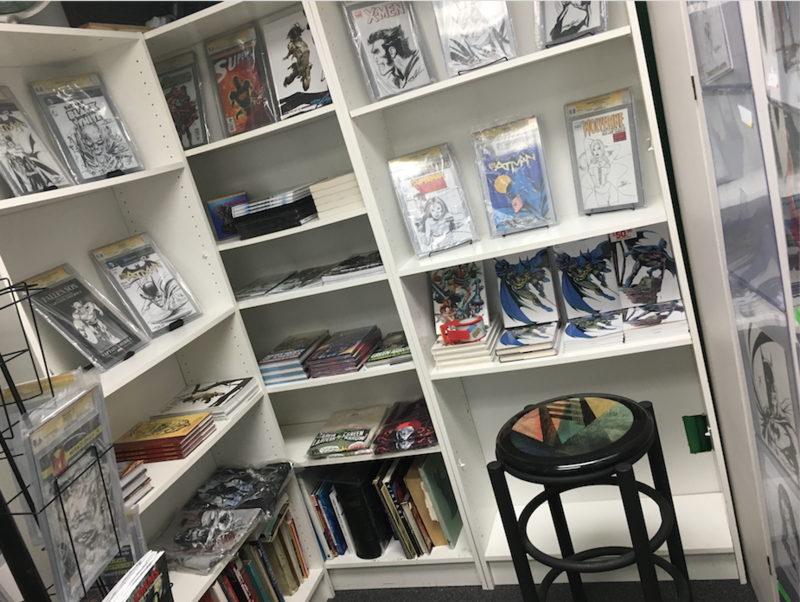 — A VIDEO TOUR of the gallery, hosted by NEAL ADAMS. Click here. 1. BATMAN, TALIA and DEADMAN. Click here. 2. A Tribute to JOE KUBERT. Click here. 3. Revisiting the cover of GREEN LANTERN #85. Click here. 4. BATMAN, ROBIN and the BATMOBILE. Click here. 5. AVENGERS ASSEMBLE! Click here. 6. BATMAN, AQUAMAN and a GIGANTIC WHALE. Click here. 7. TARZAN, Lord of the Jungle! Click here. 8. BATMAN’s Dance of Death. Click here. 9. The COMING OF THE SUPERMEN — and JACK KIRBY! Click here. 10. BATMAN Loses His Mind. Click here. 11. CIVIL WAR II! Click here. 12. BATMAN, the JOKER … and DEADMAN. Click here. 13. The Cover of BATMAN #244. Click here. — BONUS EXCLUSIVE PREVIEW: Adams teams up with Paul Dini to revisit the classic Christmas tale, The Silent Night of the Batman. Click here.